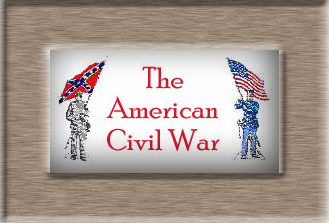 "Inter arma silent leges" was a Latin phrase much heard in the North during the Civil War. It translates roughly as, "during war, the laws are silent." Habeas corpus is another Latin phrase, meaning "(you should) have the person," and it's part of a longer phrase, habeas corpus ad subjiciendum, meaning "(you should) produce or have the person to be subjected to (examination)." These were the opening words of writs in 14th century English legal documents to require a person to be brought before a court or judge, especially to determine if that person is being legally detained. Basically, habeas corpus represents the legal right that a person in a free society has to not be whisked from his or her home without reason or cause and to not be detained or punished by the authorities without getting a fair hearing in court and a chance of self-defense. William Rawle in 1829 called the writ, "the great remedy of the citizen or subject against arbitrary or illegal imprisonment; it is the mode by which the judicial power speedily and effectually protects the personal liberty of every individual, and repels the injustice of unconstitutional laws or despotic governors." Article 1, section 9 of the Constitution, restricting powers of Congress, forbids the suspension of habeas corpus except, "when in Cases of Rebellion or Invasion the public safety may require it." On April 27, 1861, about a week after the Fort Sumter surrender, President Lincoln ordered Winfield Scott, then head of the nation's military, to arrest anyone between Washington and Philadelphia suspected of subversive acts or speech, and his order specifically authorized suspension of the writ of habeas corpus. Scott passed the order down the line, and Southern sympathizers in Maryland were rounded up in batches. This was during the crucial first weeks of the war, when Washington, D.C., desperately needed troops to defend itself and the northern regiments were having difficulty crossing Maryland, which had secessionist sentiments and was hostile to the idea of being overrun by the federal army. The Maryland legislature was about to meet, and Lincoln believed it would act to restrict troop movements through the state. One of the arrested was John Merryman, a prominent Baltimorean -- president of the Maryland State Agricultural Society, among other things -- and an active and vocal secessionist. Merryman was arrested May 25, 1861, and that day his lawyer filed a petition in circuit court, which was overseen by Chief Justice Roger B. Taney (Supreme Court justices presided directly over circuit courts in those days). Taney ordered Merryman brought before him on a writ of habeas corpus and commanded the military officer in charge of Merryman to show "the cause, if any, for his arrest and detention." This didn't sit well with Taney, who then issued a writ of attachment against Cadwallader, to be served the following day. It was on the morning of the 28th, before leaving for court, that Taney confided to friends that he wouldn't be surprised if he were in prison by nightfall. During the course of the Merryman case, many Northern newspapers, including Horace Greeley's, hoped for Taney's arrest. A U.S. marshal with the delightful name of Washington Bonifant went to Fort McHenry on May 28, but soon returned to the Circuit Court (which was being held in Baltimore's Masonic Hall) and said he had announced himself at the gates of the fort but had not been allowed in to serve the writ. Cadwallader had gotten support from the administration by this time, Taney scolded Bonifant for not calling up a posse comitatus to enforce the court order, but the Chief Justice must have realized it would have been ineffective against the armed fort. He ruled that Merryman should be set free, denounced the notion of arbitrary military arrest and defended civil liberties, and pointed out that only Congress had the right to suspend the writ of habeas corpus. And he admitted he could do nothing to enforce his ruling in the face of a military force "too strong for me to overcome." Taney made no statements of sympathy for Merryman's cause or his principles. His eyes were on Lincoln, and he said the president's course showed he lacked "a proper respect for the high office he fills .... He certainly does not faithfully execute the laws if he takes upon himself the legislative power, by suspending the writ of habeas corpus, and the judicial power also, by arresting and imprisoning a person without due process of law." It was a defiant ruling, from a zealous legal mind. 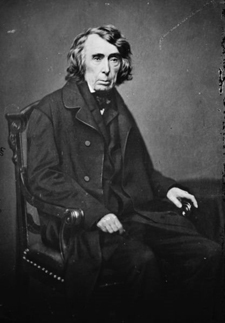 Taney said, "I can only say that if the authority under which the constitution has confided to the judicial department and judicial officers, may thus, upon any pretext or under any circumstances, be usurped by the military power, at its discretion, the people of the United States are no longer living under a government of laws but every citizen holds life, liberty and property at the will and pleasure of the army officer in whose military district he may happen to be found." In a private letter to former president Franklin Pierce [June 12, 1861], Taney wrote: "The paroxism of passion into which the country has suddenly been thrown -- appears to me to amount almost to delirium. I hope that it is too violent to last long -- and that calmer and more sober thoughts will soon take its place -- and that the north as well as the south will see that a peaceful separation with free institutions in each section -- is far better -- than the union of all the present states under a military government & a reign of terror -- preceded too by a civil war with all its horror & which[,] end as it may[,] will prove ruinous to the victors as well as the vanquished." The high court generally went along with the administration after the Merryman case pointed up its powerlessness to force the administration to obey its decisions. Several of the justices were enthusiastic supporters of the war effort. Justice James M. Wayne was perhaps the administration's most staunch defender on the bench. He was from Georgia, and his property there had been confiscated at the outbreak of the war (and given to his son, who served as adjutant general of Georgia). But it might have been just natural conservatism that moved him. A circuit court case came before him, involving a Minnesota soldier who had mustered in between the time of Lincoln's call for volunteers to suppress the rebellion and the special session of Congress that had made that call legal by authorizing it. This gap in time became the point of law in the case. "It is my opinion," Wayne ruled, "that Congress has constitutional power to legalize and confirm executive acts, proclamations, and orders done for the public good, although they were not, when done, authorized by any existing laws." He said this could be done retroactively. Even some who supported the Northern cause blanched at this notion, but it was in keeping with the general spirit of the administration and the pro-war press, which was to "preserve the union at all costs." The Confederate Congress also authorized suspension of the writ of habeas corpus, and President Davis did so, in certain places and in isolated cases. He did so, for instance, in February 1862 in Richmond and Petersburg and a few Virginia towns, when McClellan's army was at the gates of the capital. It was also suspended in western Virginia and eastern Tennessee, both unionist hotbeds, and on the coastlands of South Carolina, which were under direct attack. For whatever cause, this was not greeted with the broad opposition that resisted the more extensive suspension in the North. On Feb. 14, 1862, the Lincoln administration ended the suspension of the writ of habeas corpus and issued an amnesty to political or state prisoners no longer deemed dangerous. The tone was almost apologetic, and the proclamation took pains to explain that, at the early stage of the war, "Every department of the Government was paralyzed by treason," and that Congress "had not anticipated and so had not provided for the emergency." Lincoln, as chief executive, had felt compelled to "employ with energy the extraordinary powers which the Constitution confides to him in cases of insurrection." The amnesty proclamation also seemed to imply that the insurrection was all but extinguished. The amnesty may reflect Lincoln's desire to upset the Constitution as little as possible while prosecuting the war as vigorously as possible. Or it may reflect the administration's confidence that victory was at hand (the War Department also closed the recruiting offices a few months later). Or you can split the difference. But on Sept. 24, 1862, after fresh military disasters, with a gloomy prospect for the administration in the upcoming elections, with an unpopular conscription looming and doubt about the public's reception of the Emancipation Proclamation (preliminary issue Sept. 22), the President suspended habeas corpus again, this time over the entire North. The new directive specifically cited the resistance to the draft. It had been urged privately well before that, by several governors, especially Morton of Indiana who was plagued by disloyal militias and secessionist newspaper editors. In the short session of Congress that began November 1862, a bill was introduced to provide indemnity for the President's suspension of the writ of habeas corpus. This was done to make it legally correct, and to remove Taney's objection that the Congress, not the President, had the power to do that. It passed Dec. 8, the Senate changed it, and it finally cleared Congress, as the Habeas Corpus Act, on March 3, 1863. The Supreme Court continued to give the administration its way as long as the war was in doubt. Clement Vallandingham, the ex-congressman and notorious copperhead from Ohio, had been nominated for governor of that state by the Democratic party in 1863. Union Gen. Burnside had him arrested and set out to court-martial him. Vallandingham sought a writ of habeas corpus from federal court, but ultimately the Supreme Court refused his plea, claiming that the Judiciary Act did not give the Court jurisdiction in appeals from military tribunals. Lincoln eventually commuted Vallandingham's sentence and banished him to the Confederacy. Bates said he would support a test case if he thought it had a chance of success. "I confess to you frankly, that, knowing as we do, the antecedents and present proclivities of the majority of that Court (and I speak of them with entire respect) I can anticipate no such results." This was after Lincoln had appointed three justices to the bench. Bates had intimate contact with the justices, and his judgment of their likely verdicts was well informed. "Many loyal men deny this power to the President," he wrote to the Secretary of War, "and, however confident we may be that he possesses it, it is no imputation on the loyalty of the majority of the Court to presume that on this point they agree with their political school." The significant case was Ex parte Milligan, which reversed and apologized for the Vallandingham decision. Lambdin P. Milligan was an officer in the Order of American Knights, a copperhead paramilitary outfit in Indiana that had plotted to overthrow the government, seize the Indiana arsenal and free rebel prisoners. It never came anywhere near enacting this plot, and on Oct. 5, 1864, Milligan and others were captured and tried by a military commission, acting under authority of the 1862 suspension of habeas corpus and the 1863 Habeas Corpus Act. The commission sentenced Milligan to hang. Lincoln delayed the sentence, and in the interval a civilian grand jury heard the evidence against Milligan and declined to indict him. And the Habeas Corpus Act had provided that when a grand jury met after a prisoner had been taken, and it adjourned without indicting him, the federal courts were obliged to order his release. Milligan appealed on these grounds, in a petition dated May 10, 1865. The circuit judges were divided, and they referred the question to the Supreme Court. The government's lawyers (Gen. Ben F. Butler chief among them) claimed the President had unlimited power in time of war. "He is the sole judge of the exigencies, necessities, and duties of the occasion, their extent and duration." Among Milligan's defense team was a future president, James A. Garfield, who told the court the government's argument was that "martial law alone existed in Indiana; that it silenced not only the civil courts, but all the laws of the land, and even the Constitution itself; and that during this silence the executor of martial law could lay his hand upon every citizen; could not only suspend the writ of habeas corpus, but could create a court which should have the exclusive jurisdiction over the citizen to try him, sentence him, and put him to death." "We do not desire to exalt the martial above the civil law, or to substitute the necessarily despotic rule of the one, for the mild and healthy restraints of the other. Far otherwise. We demand only that when the law is silent; when justice is overthrown; when the life of the nation is threatened by foreign foes that league, and wait, and watch without to unite with the domestic foes within, who had seized almost half of the territory, and more than half of the resources of the government, at the beginning; when the capital is imperiled; when the traitor within plots to bring to its peaceful communities the braver rebels who fight without; when the judge is deposed; when the juries are dispersed; when the sheriff, the executive officer of the law, is powerless; when the bayonet is called in as the final arbiter; when on its armed forces the government must rely for all it has of power, authority, and dignity; when the citizen has to look to the same source for everything he has of right in the present or hopes in the future, -- then we ask that martial law may prevail, so that the civil law may live again, live, to the end that this may be a 'government of laws and not of men.' "
The decision was announced April 3, 1866. The court unanimously ruled that military commissions had no jurisdiction in a case such as Milligan's, and it ordered his sentence set aside. He was to be released. The justices took time and care in writing their opinions. The full ruling, finished in July 1866, was written by Justice David Davis, a Lincoln appointee and a longtime friend of the slain president. "During the late wicked Rebellion," he wrote, "the temper of the times did not allow that calmness in deliberation and discussion so necessary to a correct conclusion of a purely judicial question. Then considerations of safety were mingled with the exercise of power; and feelings and interest prevailed which are happily terminated. Now that the public safety is assured, this question, as well as others, can be discussed and decided without passion, or the admixture of any element not required to form a legal judgment." And he ruled that the administration's course had been wrong after all. "Martial law cannot arise from a threatened invasion," but only from a real one. "Martial rule can never exist where the courts are open, and in the proper and unobstructed exercise of their jurisdiction." This had clearly been the case in Indiana in 1864, as even the government's lawyers admitted. "Wicked men, ambitious of power, with hatred of liberty and contempt of law, may fill the place once occupied by Washington and Lincoln; and if this right is conceded, and the calamities of war again befall us, the dangers to human liberty are frightful to contemplate." Milligan was set free, then promptly seized by civil authorities, but they never pressed charges against him and ultimately released him. He filed suit to collect damages, but the statute of limitations had expired, and the jury awarded him a mere $5. McDonald, Forrest, States' Rights and the Union, Univ. of Kansas Press, 2000. "A View of the Constitution of the United States," p.117-19. For those overly fond of Latin, habeas is second person singular present subjunctive of habere "to have, to hold," and corpus "person," literally means "body," and is also the source of modern English "corpse."